A classic tray-bake offering of popped rice cereal and vanilla ice cream held together by a sticky melted marshmallow goo. Take a trip down memory lane with the sweet, rich flavours of this classic childhood treat. 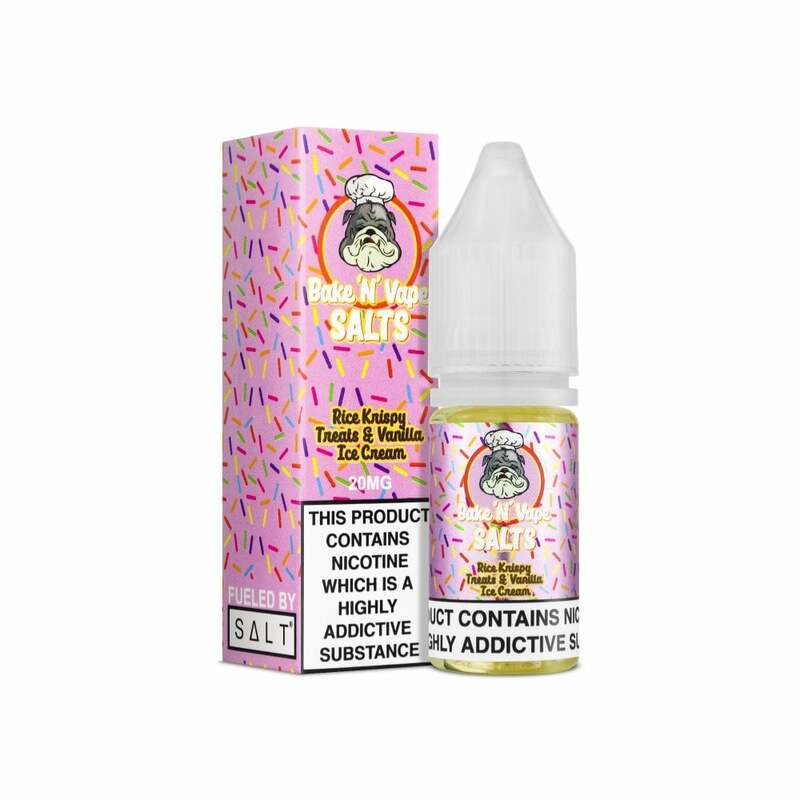 Bake 'N' Vape e-liquids are blended in a nicotine salt formula for a smooth and satisfying vape. This e-liquid is blended with a 50% PG, 50% VG formula and is loaded with bakery-inspired flavour that you're bound to adore.